As a mom of twins plus one more just a year apart, I am all too familiar with chaos! Don’t get me wrong – it is usually good chaos but chaos nonetheless. When the kids were all toddlers it was not uncommon to see one heading in every direction. More than once, I remember them bee-lining it to the pet bowl. Our dog’s food bowl was like a cookie jar in their eyes, except a lot smellier. A few times I even caught them red-handed with their sweet little fingers about to put dog food into their mouths! Yes, their mouths! 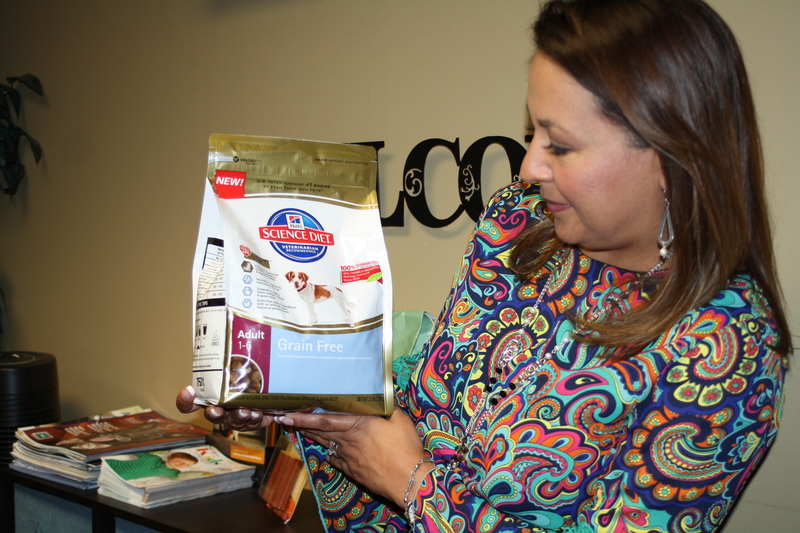 That’s why, as a mom and Board Certified Allergist, a new study I recently learned about is drawing both my interest and concern over what is in many popular pet foods. The study, presented in March at the American Academy of allergy, Asthma, and Immunology national meeting, concluded that a majority of pet foods contain one of the major eight food allergens! These most common food allergens are peanut, wheat, soy, milk, eggs, tree nuts, fish, and shellfish. What does this mean? Parents of children with food allergies may want to pay closer attention to the ingredients in pet food and their children’s contact with it! How this information and the study that determined it came about is pretty interesting. Dr. Michael Land, of Kaiser Permanente’s Southern California Allergy Department, zeroed in on pet food brands and potential allergens after hearing about a case out of California involving a 5-year-old boy. The little boy was playing outside with his neighbor’s dog when the dog licked the boy’s cheek. That’s nothing too unusual, right? Except, that after being licked by the dog, the boy developed hives and his eyes swelled shut! It first appeared that the young boy had an allergy to dog. However, testing determined the boy did not have a dog allergy. Instead, he tested positive for a peanut allergy. More interesting, the dog with whom the boy had been playing had been fed a peanut-flavored snack bone moments before licking him! Testing determined that the peanut in the snack bone caused the boy’s allergic reaction! Following the case, researchers looked at the ingredients in many different pet food brands. They found the most common allergens in dog food were wheat, soy, egg, and fish. In some brands, 100-percent of the products contained at least one food allergen. 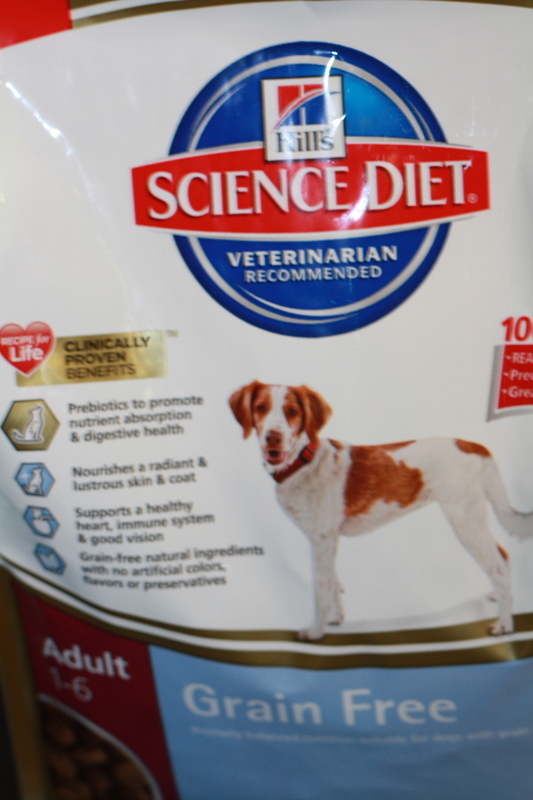 According to the study, Hill Science dog and cat food had the least amount of allergens. What I find most important to come from this case study is the need for clinicians and patients to be taught that food allergen sources can be found in pet foods. This includes dog, cat, even bird food. Also, if this 5-year-old boy developed hives from a simple lick, imagine what could happen if a child with a food allergy were to actually eat the pet food containing the allergens. He or she is susceptible to suffering a more serious or even life threatening allergic reaction. 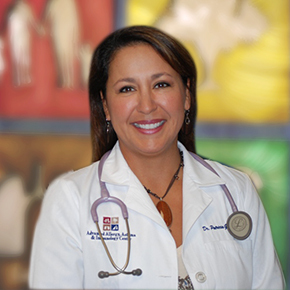 Therefore, as both a mom and Board Certified Allergist, I believe it is so very important that we become familiar with what’s in our beloved animal’s food. Just what we parents, need today, right?! One more consumer alert, telling us to stop and read food labels, causing us to spend more time in the store aisle, and likely spend more money on pet foods free of peanut, wheat, soy, or more. I do believe however, that what you may save is much greater. 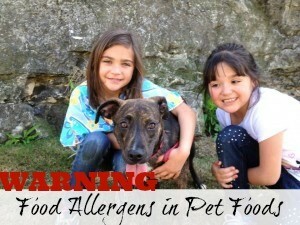 Being aware of potential allergens in pet food, may just save, a life. ← New Treatment For Allergies: Will it replace allergy shots?